"Because borates may play an important role in making RNA–one of the building blocks of life–finding boron on Mars further opens the possibility that life could have once arisen on the planet," said Patrick Gasda, a postdoctoral researcher at Los Alamos National Laboratory and lead author. "Borates are one possible bridge from simple organic molecules to RNA. Without RNA, you have no life. The presence of boron tells us that, if organics were present on Mars, these chemical reactions could have occurred." 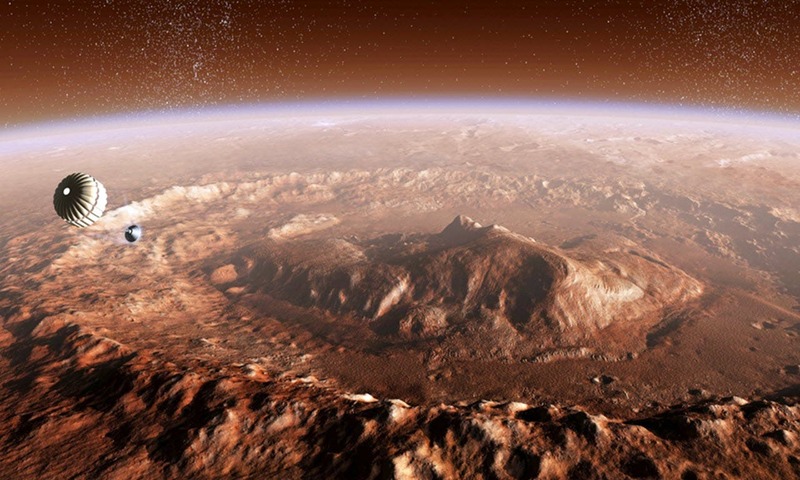 The discovery of boron at Mars' Gale Crater gives scientists more clues about whether life could have ever existed on the planet, according to the paper, published today in the journal Geophysical Research Letters. "We detected borates in a crater on Mars that's 3.8 billion years old, younger than the likely formation of life on Earth," said Gasda. "Essentially, this tells us that the conditions from which life could have potentially grown may have existed on ancient Mars, independent from Earth." Whether Martian life has ever existed is still unknown. No compelling evidence for it has been found. When Curiosity landed in Mars' Gale Crater in 2012 the mission's main goal was to determine whether the area ever offered a habitable environment, which has since been confirmed.